Oprah Winfrey (born January 9, 1954) is a producer, publisher, book critic, actor, and international celebrity. She is truly a living media brand, tallying up great successes in the communication forms of print, radio, television, and film and may do just as well online and with streaming media. Known For: Producer, publisher, actor, and head of a media empire. Born: January 29, 1954, in Kosciusko, Mississippi. Parents: Vernita Lee and (adoptive father) Vernon Winfrey. Published Works: The Path Made Clear: Discovering Your Life's Direction and Purpose. Spouse(s): None; longtime relationship with Stedman Graham (1986–present). Oprah Winfrey was born Orpah Gail Winfrey on January 29, 1954, in rural Kosciusko, Mississippi, to an unmarried teenager named Vernita Lee, a housekeeper. Although her first name was officially spelled Orpah—a name from the Hebrew Book of Ruth—mispronunciations and misspellings eventually won out and Orpah became Oprah. Oprah spent her childhood struggling with a strange dichotomy: academic achievement and dysfunctional home life. She lived with her grandmother until she was six, and, in that time, learned to read. in 1960, Oprah and her mother moved to Milwaukee, Wisconsin, where the two lived in poverty. Her mother was not very supportive of her interest in academics, and Oprah endured physical abuse by relatives. In the midst of it all, she skipped two grades and was awarded a scholarship at age 13. She became pregnant at 14, but her son was born prematurely and died in infancy. She was then sent to live with the man she calls her father, Vernon Winfrey, in Tennessee. Vernon made education a priority for the little girl and pushed Oprah to succeed. She became an honors student, won a full scholarship to Tennessee State University, and was crowned Miss Black Tennessee by the age of 18. As soon as she became a student at Tennessee State, Oprah dove into broadcast media, working at a nearby Nashville radio station. She soon moved on to television, becoming the youngest news anchor and first African American anchor at Nashville's WTVF. Oprah's first stint as a talk show host came after a move to Baltimore, Maryland, where she joined the news team at WJZ. She was quickly tapped to co-host the local show "People Are Talking." This was her first step to much larger things. Oprah Winfrey has admitted to several short- and medium-term relationships with men, including celebrities such as movie critic Roger Ebert (who she credits for advising her to syndicate her WLS television program) and future talk show host John Tesh, but she also reports that as a young woman she had affairs with married men and men involved with drugs. She met U.S. educator and businessman Stedman Graham in 1986 and they have been together ever since, although they have not married to date. Oprah's next career step took her from the shores of the Atlantic to the shores of Lake Michigan. She landed in Chicago, at WLS, taking over the low-rated morning television show "AM Chicago" in 1984. Her style, personality, and ability to talk to people about real issues sent the little last-place show into first place in less than 12 months. In a little over two years—between its debut in January 1984 and September 1986—Oprah led the program into national syndication, renamed it the "Oprah Winfrey Show" and easily overtook the top-rated "Donahue" within one month of its airing. Oprah's show is significant because it was the first wildly successful entry of a woman into a profession traditionally dominated by white males. She elected to use a kinder, gentler, and more informative style in the mid-90s, in contrast to the combative confrontational formats of her predecessors and competitors. Winfrey's talk show ended its run in May 2011, after 25 years and more than 5,000 episodes. In 2000, Winfrey began as the editor-in-chief and publisher of "O, the Oprah Winfrey Magazine." Fortune magazine named it the most successful publishing start-up in history. She stepped back from the editor role in 2009 and, although "O," like other print media, has declined in revenue in recent years, it continues to survive. In 2011, Winfrey co-founded the successful cable station Oxygen with former Nickelodeon producer Geraldine Laybourne; and the same year began OWN, the Oprah Winfrey Network, an American pay television channel jointly owned by Discovery, Inc. and Harpo Studios. Winfrey's career in Hollywood began with an acting credit, the role of Sofia in Steven Spielberg's 1985 adaptation of the Alice Walker novel, "The Color Purple." She was nominated for an Academy Award for Best Supporting Actress for that role. In 1998, she produced and starred as Sethe in an adaptation of Toni Morrison's novel "Beloved." In 2005, Winfrey's Harpo Productions (Harpo is "Oprah" spelled backward) produced a television adaptation of Zora Neale Hurston's 1937 novel "Their Eyes Were Watching God," and in 2008, Harpo Films signed an agreement with HBO to produce series, documentaries, and movies. Winfrey provided voice performances for "Charlotte's Web" (2006), "Bee Movie" (2007), and "The Princess and the Frog" (2010). In 2018, she starred as Mrs. Which in the second film adaptation of Madeleine L'Engle's young adult novel, "A Wrinkle in Time," this one directed by Ava DuVernay. "Oprah's Book Club," a television-based literary society, ran as part of the "Oprah Winfrey Show" for sixteen years between 1996 and 2011. It was so popular that it was said that any book placed on the must-read list would become an instant best seller. James Frey’s 2003 memoir "A Million Little Pieces" was chosen for the club in 2005 and rocketed to the top of The New York Times' bestseller list, staying there for 15 weeks. When it was discovered in January 2006 that it was not a memoir at all but fiction, Oprah publicly chastised the writer on her television program, revoking its "Book Club" status. Stung by the experience, she promoted classics for some time afterward. During the 16-year-run, Oprah promoted 70 books. 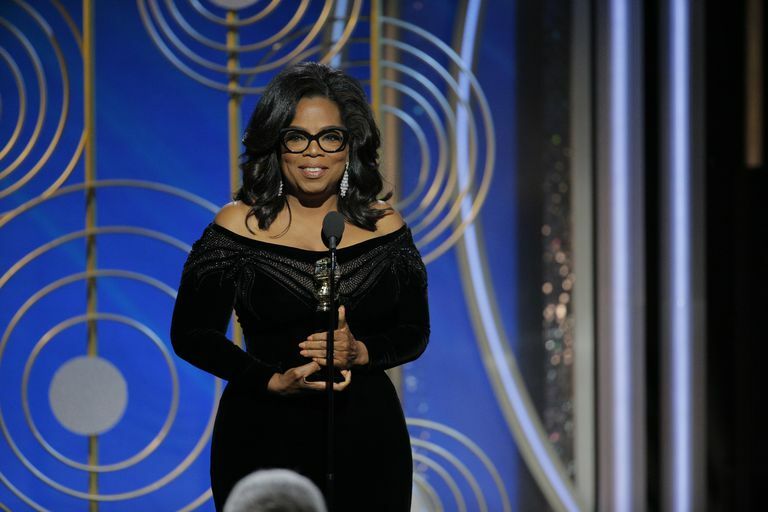 Winfrey has herself co-authored five books, her most recent in 2019, entitled "The Path Made Clear: Discovering Your Life's Direction and Purpose." 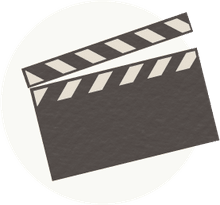 In March of 2019, Apple CEO Tim Cook revealed that Winfrey (alongside director Spielberg and actor Jennifer Aniston) would be working with them to produce original programming for a new streaming service. Her early programming plans include two documentaries, one on mental health and one on the costs of sexual harassment in the workplace. Winfrey is listed by Forbes magazine as the world's only African American billionaire, with an estimated net worth in March 2019 of $2.5 billion. She is also known for her charitable work, having donated $425 million throughout her career as of March 2019, including over $100 million to the Oprah Winfrey Leadership Academy for Girls in South Africa. She reportedly considered running for U.S. President in 2020 (her longtime best friend Gayle King continues to urge her to run), but in November 2018 stated unequivocally that she is not interested. Coyle, Jake. "Oprah, Spielberg help Apple launch new streaming service." Associated Press, March 25, 2019. Lies, Anna. "Oprah Winfrey: Media Mogul." Edina, Minnesota: ABDO Publishing, 2011. Haughney, Christine. "Oprah at a Crossroads." The New York Times, Nov. 25, 2012. Illouz, Eva. "Oprah Winfrey and the Glamour of Misery: An Essay on Popular Culture." New York: Columbia University Press, 2003. Morin, Rebecca. "Oprah: 'I don't want to run' for president." Politico, November 1, 2018. "Oprah Winfrey." Forbes Profiles, March 28, 2019. Stelter, Brian. "Talk Show Ends, and Oprah Moves On." The New York Times, May 22, 2011. Winfrey, Oprah. "The Path Made Clear: Discovering Your Life's Direction and Purpose." New York: Flatiron Books, 2019.